Twelve days after being admitted to the VMC for injuries, the owl was released back into the wild. After almost two weeks under the watchful eyes of wildlife veterinarians at the Western College of Veterinary Medicine (WCVM), a great horned owl was released back into the wild Tuesday afternoon. 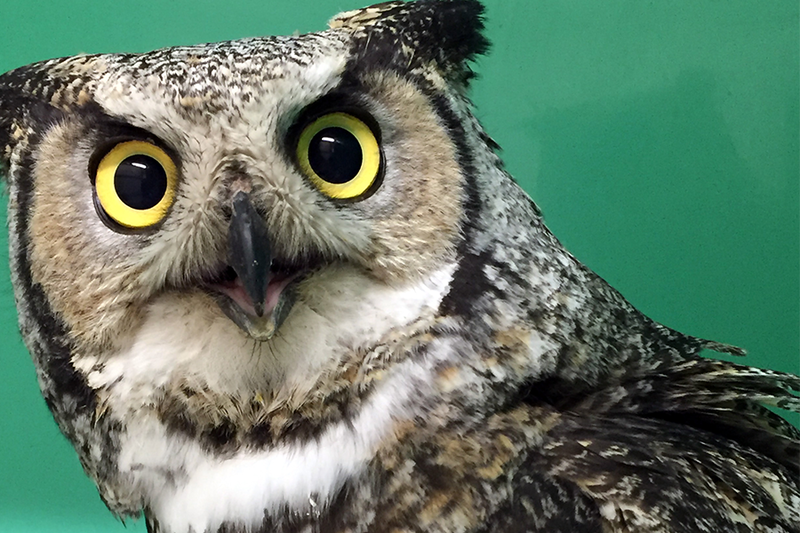 The owl was brought into the WCVM's Veterinary Medical Centre (VMC) on Jan. 21 after becoming trapped under building material—"the wrong place at the wrong time," said Dr. Miranda Sadar, a veterinarian who treated the patient. Clinicians provided physical evaluation and treatment of the owl's injured beak, until they deemed it capable to continue hunting and feeding on its own. See more at CBC Saskatoon.